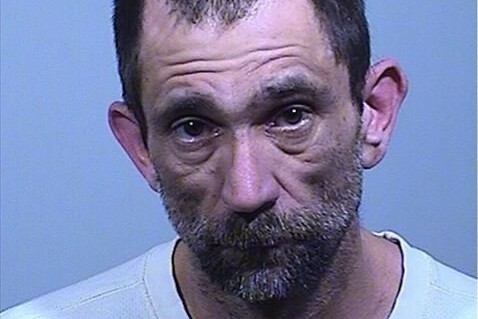 The Somerset County Sheriff’s Office is seeking the public’s help in locating a Gorham man suspected of camp burglaries and an array of crimes in southern Maine. Paradis fled Monday from Somerset County Deputy Brain Crater after he saw a car leaving a camp road off Route 201, also call Old Canada Road in Moscow, the release said. Crater recognized this vehicle from game camera images captured from prior camp break-in scenes in the area over the past year. The passenger, Farah Paradise, 48, of Gorham was taken into custody. Multiple law enforcement agencies, including Maine State Police with a K-9 unit, Maine Warden Service (including aircraft) and U.S. Border Patrol assisted in the unsuccessful attempt to locate Cory Paradise, the release said. Investigators later learned from hikers on the Appalachian Trail that a man matching Paradise’s description was observed swimming across the Kennebec River near the trail crossing, Ross said. This same man also was seen seeking a clothing change from hikers. Police believe he may have broken into a building in that area to use a phone to call for a ride. The same man was observed on Tuesday morning walking down the Carry Pond Road in Carrying Place Township. He was last seen wearing a blue sweatshirt, tan shorts and camouflage-colored Crocs. Paradise has been charged in Somerset County on one count each of burglary, theft by unauthorized taking or transfer, eluding an officer, speeding more than 30 mph over the posted limit, being a habitual motor vehicle offender, driving to endanger, and violating conditions of release. He also is wanted on multiple warrants out of Cumberland County. Farah Paradise is charge with burglary and theft by unauthorized taking.